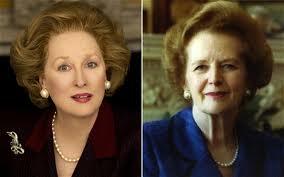 Meryl Streep has been named best actress for her portrayal of Margaret Thatcher in upcoming film The Iron Lady by the New York Film Critics Circle. The other acting prizes went to Jessica Chastain for her supporting roles in The Help, The Tree of Life and Take Shelter, while veteran actor Albert Brooks won best supporting actor for Drive. The awards will be handed out at a ceremony on 9 January.